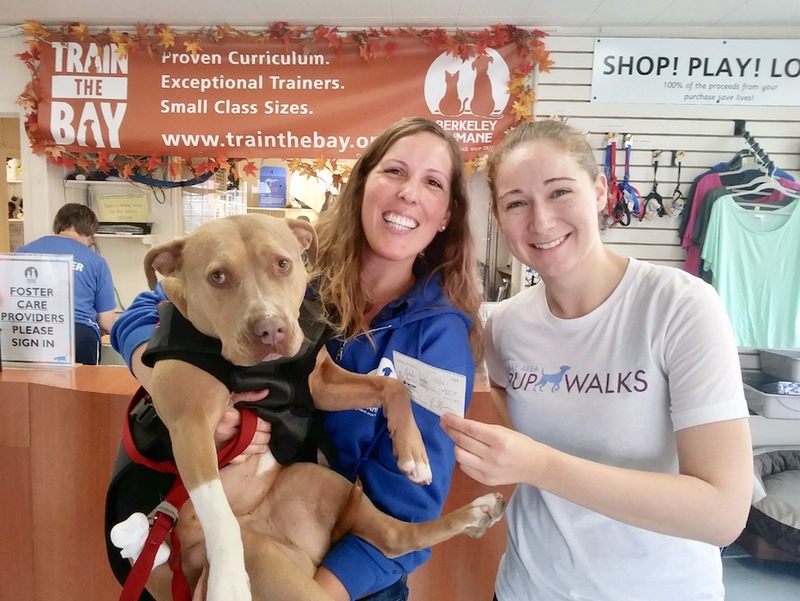 Yesterday, we had the pleasure of delivering November’s donation to Berkeley Humane's Adoption Center. They were delighted with the donation and with Pupwalk's mission to support local dog rescues! Sophie, our Berkeley manager, had a great meeting with Erin Thompson (their marketing director). Sophie learned that Berkeley Humane closed their veterinary practice to the public in 2009 in order to provide medical services solely for shelter animals, making them the first veterinary hospital in the East Bay to serve exclusively homeless animals! In 2016, they founded a low-cost spay/neuter clinic for the public as well. Last year, Berkeley Humane matched over 1,000 animals with loving adopters! They also have a dog training program, behavior advice line and a support group for people grieving the loss of a pet. We are so proud to help such effective and well-run animal welfare organizations and hope you are proud to be making a difference with us!